The inspiration for this new watch actually came from feedback at our New York Road Show. We noticed that many guests gave high marks to the automatic Cockpit One and Cockpit Two watches released last year, and we began discussions with Fortis to create a chronograph watch with these same styling elements. 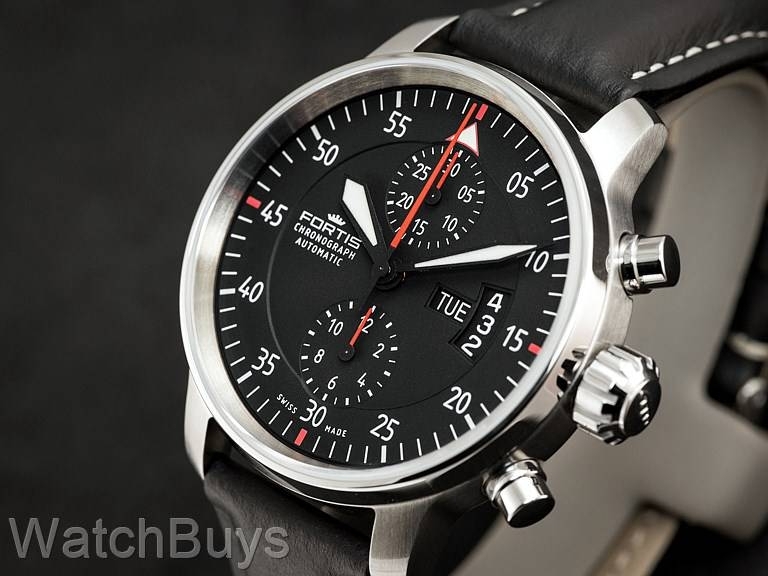 The result - the new Fortis Aviatis Cockpit Two Chronograph. This watch starts with 43 mm case with finishes that are both polished and satinized. Next, the feature that attracted so many visitors to the original Cockpit One and Cockpit Two automatic watches - a day and date display at 3 with a cockpit instrument design. A special thank you to our guests in New York for their feedback on the design of this watch. 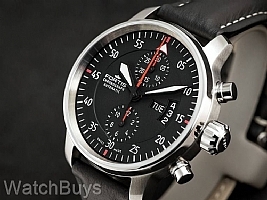 This watch is fitted with a Fortis black leather strap with contrast stitching.